HUBEI, Central China — Shen Exiang was feeding his six dogs with some minced pork and rice at home when his former colleague Deng Chao rode over on his motorcycle. It was a chilly February afternoon, but the snow was melting around the village, and Deng wanted to know if Shen and his wife would go hiking with him. It’s a relaxed pace of life for the 60-somethings, who’ve recently swapped life in Wuhan, a city of nearly 11 million, for a new kind of retirement in the countryside. They “huddle to stay warm,” as the phenomenon has been dubbed. Unable to rely on their only children or state care facilities, they depend on each other for social support. The concept of “huddling retirement” has aroused interest among middle-aged people ready to retire soon — China’s retirement age varies between 50 and 60 depending on one’s occupation. A couple in the eastern city of Hangzhou made headlines earlier this year when they invited five other retired couples, who shared a fondness for playing mahjong, to live in their three-story suburban home. They charged at most just 1,500 yuan per month for room and board, and cleaning services. When Shen, 64, was getting ready to retire in 2012, he spent a year searching for the perfect place to start the new chapter of his life. One day, while hiking with friends, he came upon the area around Hanzi Mountain, about 100 kilometers east of downtown Wuhan. 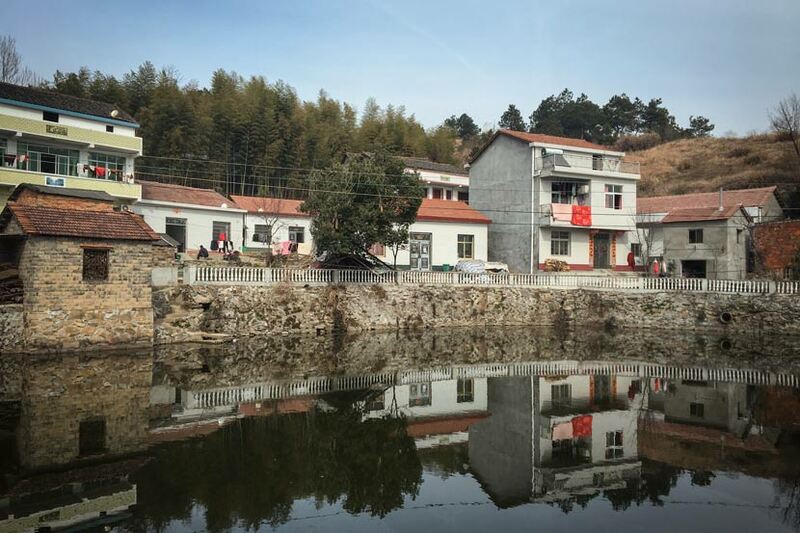 When passing through Hanzishan Village on their way down the mountain, he learned that the majority of the hamlet’s 800 residents worked and lived in the city, leaving their houses empty most of the year. Shen retired after a 43-year career as an engineer at Wuhan Iron and Steel Corporation, one of the largest state-owned enterprises in central China. He loves nature — hiking, hunting, camping, fishing, and looking after pigeons and dogs. “I can’t do any of these in the city,” Shen tells Sixth Tone. With his energetic demeanor, he organizes a range of activities and has a lot of friends who, like him, wish to stay active in retirement. “Our apartments in the city are just not big enough,” Shen says. As an engineer who used to be in charge of large-scale experimental energy projects, Shen considers the village’s “huddling community” his retirement project. 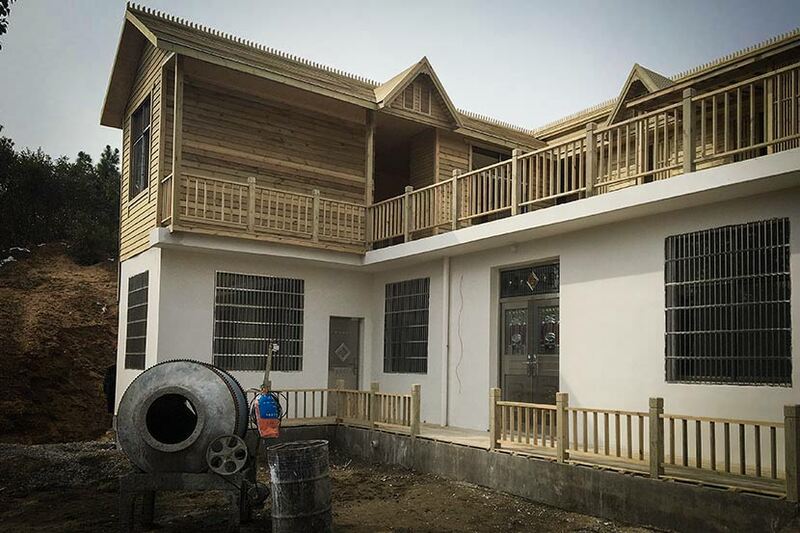 Shen spent nearly two months converting the dilapidated house into what he and his wife now affectionately refer to as their “mountain villa.” Most of the work went into repairing the ceiling and installing a new bathroom and kitchen. After local media reported on Shen and Yan’s hilltop abode, more than a thousand people have come to visit, many of whom were thinking about moving to the countryside themselves. Shen invited them to stay in one of his six spare bedrooms to experience rural life for a few weeks before making their decision. Since the couple moved to the village in 2013, more than 30 retirees from Wuhan have followed suit. The number of seniors in Wuhan has risen faster than in other parts of China. At the end of 2017, one out of every five residents was aged 60 or above, while nationally, the same demographic makes up 17.3 percent of the population. At the same time, China doesn’t have enough nursing homes to meet the demand. In 2016, the number of beds at care facilities was just 27.5 per 1,000 elderly. “Although this situation is gradually improving, it will take time,” says Luo Baozhen, a sociology professor at Western Washington University in the U.S. Traditionally, Chinese live with and depend on their children to take care of them later in life. However, most people who are currently entering retirement started their families in the 1980s, when China’s strict family planning policies only permitted one child. Many of today’s pensioners have realized that it is unrealistic to rely on just one child, who might be also raising children of their own. Official numbers reflects this, too. In 2016, over half of seniors nationwide were so-called empty nesters — seniors who live apart from their children. The proportion exceeded 70 percent in cities. For Shen, life in the countryside is certainly fullfilling. He wakes up around 6 every morning, eats breakfast, and exercises. Donning his favorite camouflage outfit, he then feeds the chickens, ducks, dogs, and sheep. For lunch and dinner, the couple and the other “huddling buddies” take turns to cook, and eat together in each other’s house. Deng, 62, moved to the village four years ago. He raises hundreds of chickens in his yard and sells them at the market every weekend. “The high prices, traffic congestion, and poor air quality in the city are not suitable for retirement,” he says. “The natural environment here is a great attraction to me,” Deng adds. When Shen and Deng just arrived in Hanzishan, villagers doubted whether they would actually stay here. “They thought we were joking,” Deng recalls, adding that the locals didn’t believe seniors from the city could become accustomed to rural life. However, “I felt like I had been in a cage for so long and could finally return to nature,” Deng says. Shen admits that he wouldn’t have moved to the countryside if it wasn’t for his sister, who is taking care of their mother in the city. His son, who is unmarried and loves to travel, also fully supports his parents’ move. 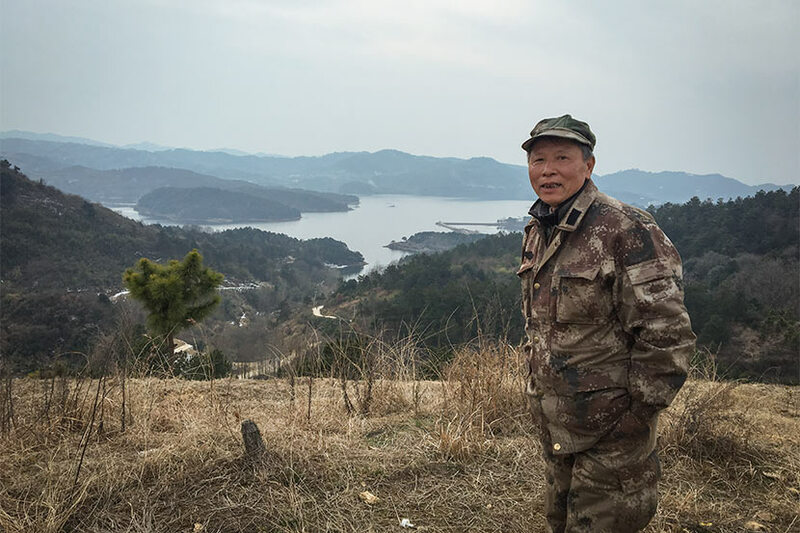 “Many of my friends envy my carefree life in the country; however, they can barely step out of the urban center as they have to take care of their grandchildren in Wuhan,” says Shen. Huddling retirement is still rare in Luo’s eyes, and she doesn’t think it’s a realistic alternative for most people. “These retirees are the ‘young seniors’ who are in good shape,” she says. “When they are ill and their health condition won’t allow them to live in the countryside for very long, they will have to move back to the city.” Though the government has promised improvements in rural health care, the best hospitals are still in the city. But while Shen is concerned about health, he hopes he will never have to leave. “I think that when I’m old and need professional medical care, there will be good nursing facilities in the countryside, so that I could keep living here instead of moving back to the city,” he says, as he sips his favorite green tea. But if that doesn’t happen, Shen has another plan.